Industrial visits bridge the gap between theory and practice as many concepts, theories and processes discussed in the classrooms can be verified in the industries practically. They provide answers to the concerns of students regarding clarifications on their subjects, future job domains and applicability of theoretical explanations. It’s also an opportunity to see personally how a manufacturing unit or service enterprise works on a daily basis and to interact with industry professionals to clarify queries and get more insights on the dynamic shop floor operations. During such visits both nationally and internationally, there is also exposure to diverse cultures, cuisines and tourist sites apart from the daily routine activities. PRABANDHAN organised on 22nd February 2019. On Friday 22nd February 2019, the marketing team had organized an event called Prabandhan, which was based on current Management issues. Out if the 9 teams, five were selected and they performed in the final round. The chief guest for the same was Mr. Nitins Ambre, VP Operations at Pehal Live Science Pvt LTD. The first prize went to the team that presented on HR's role in Work life balance. The second prize went to the team that presented on What's wrong with Zomato. The third prize went to the team that presented on Downfall of Sanpdeal and Snapdeal 2.O. A Special session was organized on “Demystifying Business Analytics”, on 22nd September 2018.The speaker was Mr. Santosh Tamhane, Director, Foretelics Technologies. Mr. Santosh started the session with simplifying various concepts. He explained difference between Data Mining, Data Analysis, Big Data, Machine Learning, Deep Learning, AI. He shared cases of how Business Analytics improved efficiency of business. And how it is applied in various industries like Automobile, Banking, Insurance, Retail, Telecommunication, Manufacturing, Logistics etc. He explained how data reveals insight. He guided students on how to make career in Business Analytics. The students asked many questions which Mr. Santosh Tamhane answered to their satisfaction. Dr. Neeta Bhatt presented memento to the speaker. Program concluded with vote of ThankS. SS&C Globe Op Financial Services, who is a regular recruiter at Atharva, had conducted CAII Program for MBA finance students of the third semester. Globe Op Financial Services is of the opinion that students need some basic classroom training regarding the company and the company operations before going into the battlefield. For this reason, the company was kind enough to come to our campus and train the students in a variety of areas like Fund Accounting, Operations, OTC Derivatives, Valuations, etc. They gave the students in depth practical training on the subjects pertaining to their job responsibilities. Students had a wonderful experience and they now have an edge over the competitor students as they already have in depth knowledge on broad range topics. After the sessions, the company had evaluated students by conducting a test and 28 students of 3` students could successfully clear the test and it was followed by a certificate distribution ceremony. The ceremony was held on February 15, 2018. 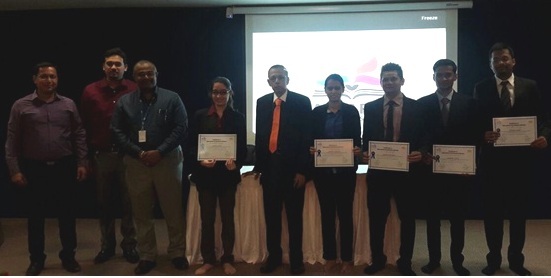 Globe Op representatives Mr Willis D’Cunha – HR Representative and Mr. Sasmit Ghodke – HR Representative were present to give away the certificates along with Our Dean Prof. N. S. Rajan and Deputy Director Dr. Sujata Pandey. HR team of Atharva Institute of Management Studies (AIMS) organized a panel discussion on “HR in VUCA world” on 12th December 2017.The event began with the ceremonious lighting of lamp by our esteemed dignitaries, followed by Ganesh vandana. The panelist were Mr. M.S.Venkatesh Sr.Director HR P.D Hinduja Hospital & Medical Research, Ms Neha Gupta Founder of Alchemy of OD, Mr. Firdosh Mistry Head – Corporate Technology & Engineering Academy, Larsen & Toubro, Mr. Parag Gadhia Founder of Deep Ability Consulting,Mr.Ashok Sharma Addl. Director – Resource & BD AEC Pvt Ltd, Moderator of the event Ms.Akanksha Jadhav HR Manager L & D, Kotak Mahindra Bank Ltd. The panel discussion began with warm & mesmerizing voice of Ms. Akanksha Jadhav. She initiated the discussion with Mr.Venkatesh by asking the role of Hr in Vuca world. Mr.Venkatesh emphasized on Hr as business partner. He also shared his views from a book “What your CEO wants from you” which focuses on areas like Accomplishment, Affectability, Efficacy & Authencity. After that was Mr. Parag Gadhia, He said stability in vuca world is possible only if you are updated & aligned with ever changing business goals. Mr. Ashok Sharma shared his thoughts on effective change management by acting as a role model of change with dedication & commitment. He emphasized on external environment changing at a faster pace than internal environment. To cope up with such volatility one has to be a continuous learner. Next was Ms.Neha Gupta, She focused on the concept of appreciative enquiry. The concept focuses on core positive strengths of an individual & organization. It is a process of continuity, Novelty & Transition. Mr. Firdosh Mistry, Clarified on the expectations of organizations from freshers. The organization in vuca world wants candidates who are job ready in shortest given time & this is only possible if students develop inquisitiveness be creative and innovative. Ms. Akanksha Jadhav, magnificently summarized the event .She said, every individual may have their own definition of “VUCA”.The overall session was very interesting & knowledge gaining. Dean Dr. N.S.Rajan concluded the event by adding his enriching inputs & thanking the entire panelist for a wonderful session. The Event ended with vote of thanks by Ms.Forum Shah and National Anthem. Dr. Manu Vora conducted a seminar through google hangout in Atharva Institute of Management Studies on 8th September' 2017. It was a prolific session consisting of ideas, approach and attitude required for an individual's success in an University. Once the individual joins corporate, the ideas are molded to suit the organisations's goals. This session was benefiting for the students, who are at a crucial juncture in their lives. 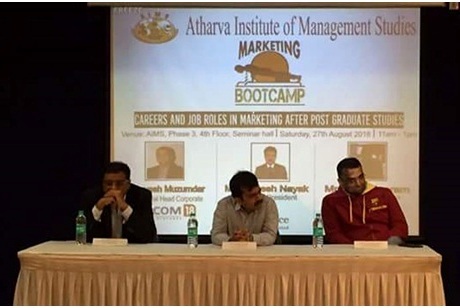 The second season of the Marketing Boot Camp was organised on 11th November' 2017 in the seminar hall. Four eminent speakers from the industry, Dr. Abhijit Sarkar (National Head- Sharekhan Ltd.), Mr. Amitkumar Yadav (Senior Director - Finance, Viacom Ltd.), Mr. Romit Dlal (Vice President- Sales, Netmagic Solutions) and Mr. Zubin Sanghvi (Deputy Vice President - Choice Equity Broking Pvt Ltd.) enlightened the audience on "Adaptability - Secret of Evolving in the Corporate Ecosystems". The panel discussion was moderated by one of our talented students, Ms. Priyanka Pawar, who contributed to the discussion through her captivating points. The students were enthralled by the discussion and are propelled to expand their horizons. The speakers urged the students to come out of their comfort zones and evolve with the evolving environment. they also stressed that one should know one's capabilities and abilities well in order to excel and not be bogged down by the failures or the challenges. With the students at the crucial juncture of their careers, sharing of personal experiences by the speakers was compelling and timely. Atharva Institute of Management Studies organized a panel discussion on GST on Saturday, August 19th, 2017. 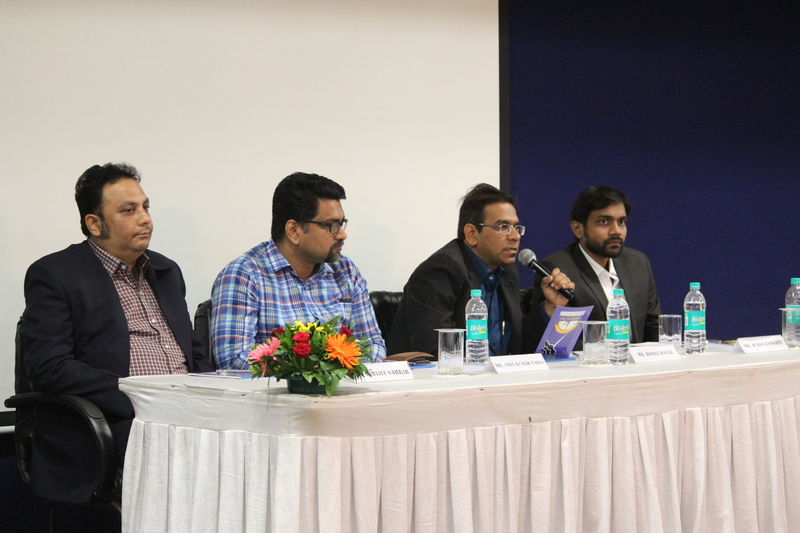 The panelist were-CA Sanjay Rane, CA Kamlesh Saboo, CA Nikesh Sheth and CA Dharin Shah. The speakers gave an insight of GST concept, its impact on corporate, consumers and economy as a whole.How input tax credit system will help in eradicating tax evasion , how government’s tax base will increase and how there will be a shift of major employment from unorganized sector to organized sector was brilliantly explained by the speakers.The staff, students and faculty members of Atharva learnt a lot from this session. The students of Atharva Institute of Management Studies along with Dean Prof. N.S.Rajan and Colonel Raje visited the Regional Labour Commissioner Mr. V.A.Sawant. Mr.Sawant gave students the knowledge of various laws, their applicability, appropriate government and how they are implemented. He told about the conciliation process, natural justice and industrial disputes. He also told how and when the laws were created. He shared all his past experiences and the way he handled them with great care. He enlightened the students with future of law and how the time is changing. Apart from the subject he taught students that the main motto of life and happiness lies within the good deeds for the people. The session was really great and students came to know some facts and how to deal with them. 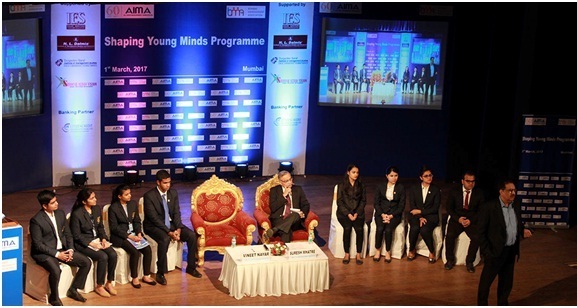 The All India Management Association (AIMA), in association with Bombay Management Association (BMA), conducted a one-day event titled ‘Shaping Young Minds Programme’ on March 1, 2017 at IES Management College, Bandra. The students of AIMS, being the 1st and 2nd Runners-up in the prestigious Dandekar Trophy of BMA, were invited to be on the student discussion panel for different speakers. The distinguished speakers for the programme included Mr. Vineet Nayar, Founder of Sampark Foundation & Former CEO, HCL Technologies; Dr. Shikha Sharma, Nutritionist; Mr. Rakeysh Omprakash Mehra, Film maker; Mr. Sunil Alagh, Chairman, SKA Advisors & Past President, AIMA & Former MD & CEO, Britannia Industries and Mr. Alok Kejriwal, CEO & Co Founder, Games2Win. The 38th BMA Awards programme was held on January 30, 2017 at Y. B. Chavan Centre, Nariman Point, Mumbai. 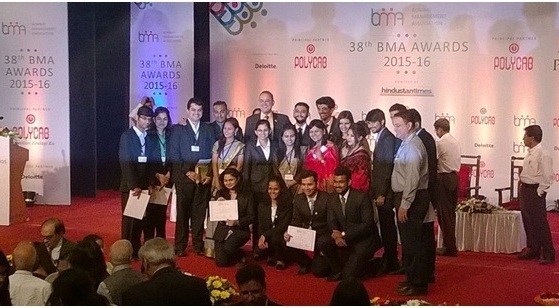 The event was chaired by Mr. R. Ramakrishnan, Chairman-BMA Awards Committee, and Ms. Nirmala Mehendale, President-BMA. Other dignitaries included Mr. G. N. Bajpai, Ex-Chairman-SEBI; Mr. Sanjiv Bajaj, MD-Bajaj Finserv and Mr. S Haribhakti, Former President, BMA. 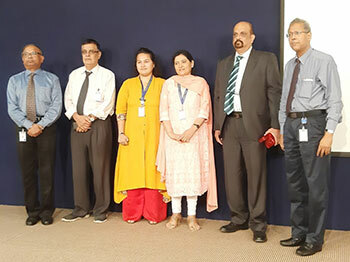 The event was a platform where many reputed management professionals had come together to enlighten different management concepts more practically which enabled the students to get a professional perspective of many aspects of management. This event gave an opportunity to the students of AIMS not only to develop their network with corporate personalities but also contributed towards the success of the event. SS&C GlobeOp Financial Services Pvt. 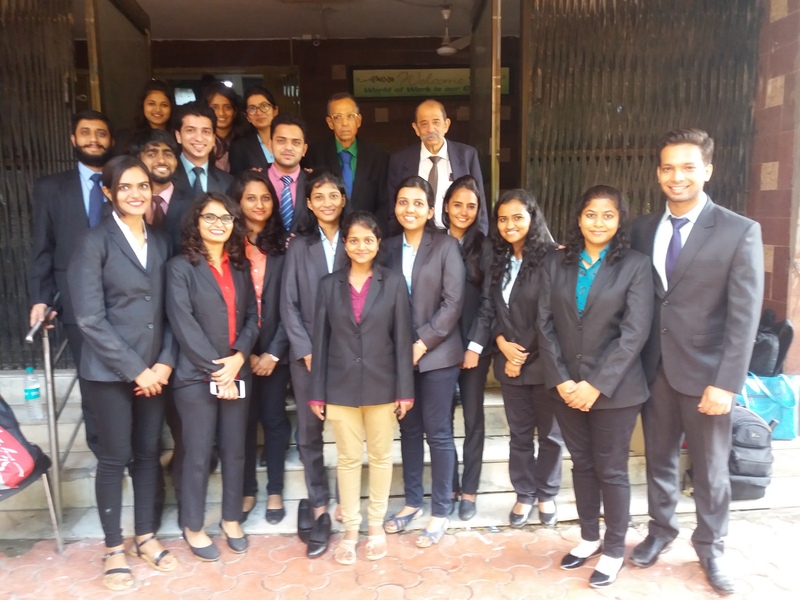 Ltd., a regular recruiter at AIMS, had conducted ‘Certificate in Alternative Investment Industry’ ProgramME for the finance students of third semester to provide basic training about the company and its operations. It gave training to the students in areas such as Fund Accounting, Operations, OTC Derivatives and Valuations and also detailed practical training on their job responsibilities resulting in better practical knowledge for them. 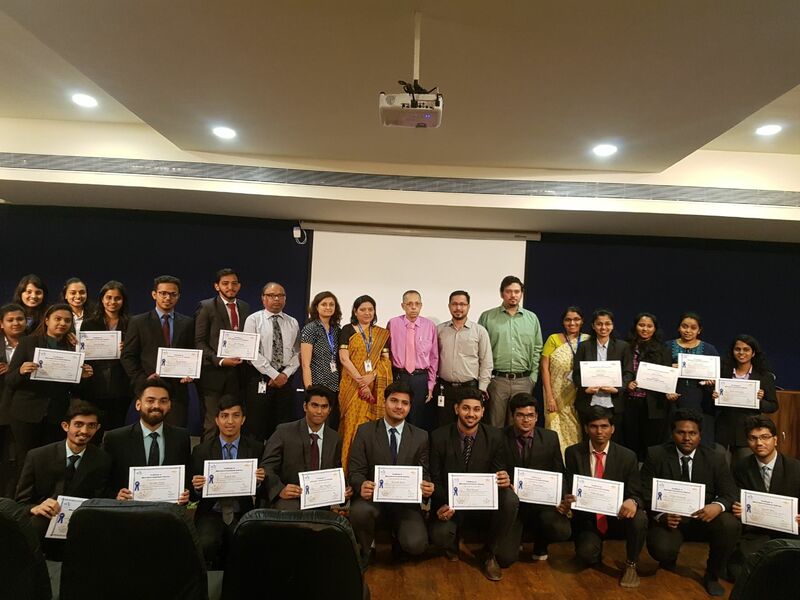 After the sessions, the company had evaluated the students by conducting a test which was followed by a certificate distribution ceremony held on January 11, 2017. GlobeOp representatives Mr. Sunil Nair, Director-HR, Mr Willis D’Cunha, HR Representative and Mr. Sasmit Ghodke, HR Representative were present to give away the certificates. Some female students of AIMS attended one-day women conference on ‘What Women Really Want’ which was held at The Leela Hotel, Andheri on December 6, 2016. It was attended by about 150 delegates comprising CEOs, CFOs, CIOs, management consultants, faculty members and students. Ms. Mona Cheriyan, Mona Cherian, President & Group Head-HR, Thomas Cook India who was Chairperson at the conference, magnificently explained what stages and challenges a woman has to go through when she has to manage her job and home simultaneously. The students could learn how to maintain work-life balance. The women are supposed to perform well in all aspects of life such as family, work and society. The knowledge gained by the students will be beneficial to them in their future life. National Milk Day was celebrated on November 28, 2016 in commemoration of the 95th birth anniversary of Dr. Verghese Kurien, popularly known as the ‘Milkman of India’. The event was held in collaboration with Amul, the leading brand in the dairy industry in India. 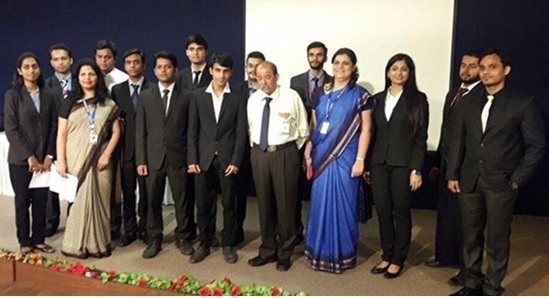 Students were asked by the Amul team to make research presentations on any one topic out of Changing Scenario of Dairy Industry in India, Milk Revolution in India and Technological Advancements in Dairy Industry. Top 10 presentations were nominated to be presented in front of special delegates representing Amul. 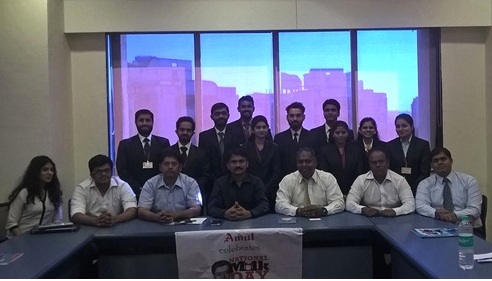 The Amul delegates appreciated the students for their research acumen and depth of information in presentations. The participants were awarded certificates and Amul gift hampers for their efforts. In the digital era where we interact and engage with our friends and family online, social media has undoubtedly become central to our way of life. To cover the issues and challenges relating to online privacy and information security, a seminar on ‘Social Media Security in the Digital Age’ was organised August 30, 2016. 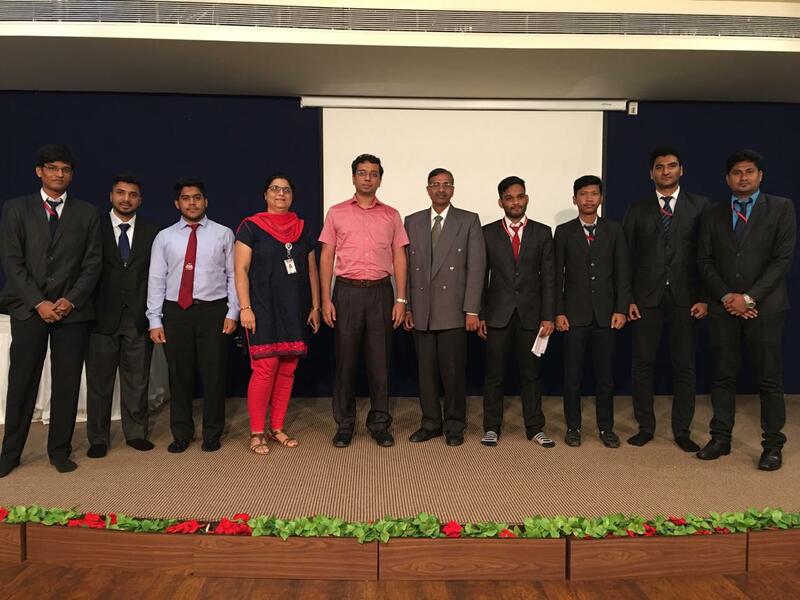 The honorable guest speakers were Mr. Tohid Shaikh and Mr. Ronit Yadav, Certified Ethical Hackers, who have undergone certification course on Ethical Hacking, Tech Security, and Computer Hacking and Forensic Investigation. It was a very useful opportunity to understand the terminologies such as social angler phishing, spoofing, cross site scripting, cookie and URL hacks. Further, the ways to prevent hacking and illicit activities over internet were also explaind. The Marketing Club conducted a Marketing Bootcamp to prepare the students to become future marketers with all the necessary skill sets. The current day marketers are expected to possess different types of skills to face the battle in the corporate world. The Marketing Boot camp on ‘Careers & Job Roles in Marketing after Post Graduate Studies in Management’ was held on August 27, 2016. Sessions were conducted on the realistic view of marketing career and the role of marketing professionals The dignitaries from industries who graced the event were Mr. Unmesh Nayak, Sr. Vice President-Reliance industries Ltd., Mr. Jayesh Muzumdar, Commercial Head-Corporate, Viacom 18 Motion Pictures, Mr. Dilip Jayaram, Associate Vice President-Research and Consulting, Dale Carnigie Training India. 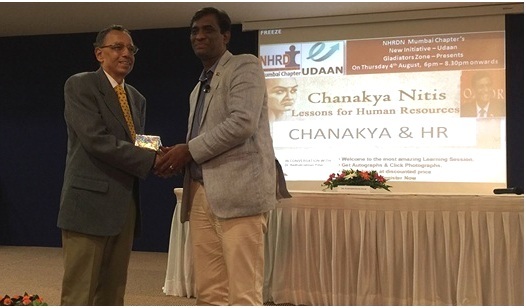 An event on ‘Lessons for Human Resources from Chanakya Nitis’ was conducted by NHRDN on August 4, 2016. Mr. Neeraj Agarwal gave a brief idea about UDAAN event of Gladiators. The esteemed guest speaker Dr. Radha Krishnan Pillai gave his valuable inputs on the essence of Chanakya Nitis and its learnings for HR fraternity. The practical applications of Chanakya Niti in today’s world of HR covers a host of areas including recruiting and selection of employees, employee management, compensation and mentorship. The brief discourse given by Dr. Radhakrishnan Pillai in clear, lucid style revealed that Chanakya’s teachings have relevance even in today’s competitive recruitment industry. To cite, "Once you start working on something, don’t be afraid of the failure and don’t abandon it." 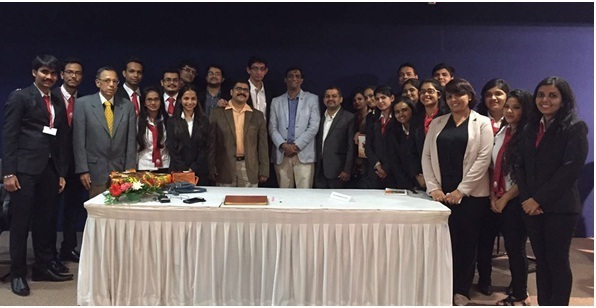 NHRDN’s new initiative Udaan organised a panel discussion on ‘Talent Management and Social Media’ at Mahindra and Mahindra Ltd., Kandivali on July 15, 2016. The students of AIMS with HR specialisation got an opportunity to attend the programme. The panel discussion was conducted by influencers and professionals from the field of HR which included Rakshita Dwivedi, Plug HR; Shweta Pathak, TMP Worldwide; Ruchee Anand, LinkedIn; Swapnakant Samal, Reliance Industries Ltd. and Dhanajay Bansod, NHRDN. The main focus of the panel discussion was leveraging the use of social media to manage the human resources effectively. Mr. Dhananjay Bansod as Moderator introduced the theme for the discussion and shared some insights about the significance of social media and its impact on people. Students of marketing specialisation Rohit Khade, Omkar Bane, Akshay Pai and Anagha Mestry with Dean Prof. N. S. Rajan and Prof. Vikas Singh attended a seminar on ‘Digital Marketing’ at Nehru Centre, Worli on the topic ‘How to be a Marketer in the Digital Age?’ There was interaction with speakers who were Mr. Ronnie Screwvala, Co-founder, UpGrad & Founder-Former CEO, UTV; Mr. Ashok Lalla, Former Head-Digital at Infosys, Taj, Mindshare, Havas; Ms. Kavita Jhunjhunwala, Founder, Web Spiders & Content Curator, Click Asia Summit; Mr. Mayank Kumar, Co-founder & MD, UpGrad; Mr. Pankaj Parihar, Head-Digital Marketing, Godrej; Mr. Kunal Jeswani, CEO, Ogilvy India; Ms. Bidisha Banerjee, Head-Learning & Development, Future Group and Mr. Arunabh Kumar, Founder & Group CEO, TVF. HR Panel Discussion on ‘Innovative HR Practices’ by the HR Club of AIMS was held on February 5, 2016. The panelists included Mr. M. S. Venkatesh, Sr. Director-HR, Hinduja Hospital; Dr. Aneeta Madhok, Managing Director, Open Spaces Consulting (P) Ltd.; Mr. Milind Rane, Sr. Manager-HR, Transasia Bio-medical Ltd.; Mr. Nitin Shekhar, Sr. Manager-HR, All Cargo Logistics Ltd., The Avvashya Group and Ms. Amrita Shetty, Group Head-HR, Triton Communications. It was followed by question-answer round and launch of magazine ‘HR Voices’ by the guest speakers. The magazine contains several interesting articles written by the students of HR specialisation from MMS & PGDM (Batch 2015-17). The panel discussion concluded leaving the audience enriched with several more thoughts to ponder upon and research.